Director Identification Number or DIN is a unique 8- digit number allotted by the Central Government to any person who is a proposed or an existing Director of a company. The DIN number has a lifetime validity. With the help of Direct Identification Number (DIN), the details of the directors are maintained in the database. The very first step is to download Form DIR-3. The above-mentioned picture shows how the form looks like. Therefore, after downloading the form add the respective information which is asked in the downloaded form. Identity Proof of the Applicant, to be Self – Attested. The Income-tax (PAN) is a mandatory requirement for identity proof in case of Indian nationals. A passport is a mandatory requirement for identity proof in the case of foreign nationals. 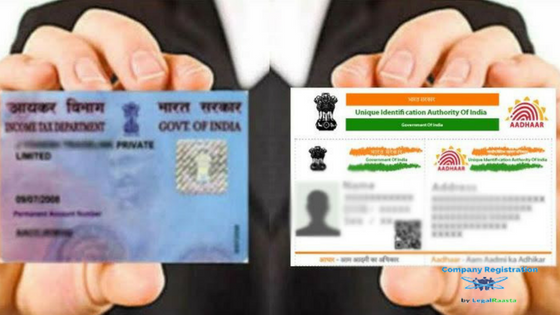 Address proofs of Applicant (Self – Attested): Electricity Bill, Passport, Election (Voter Identity) Card, Driving License, Ration Card, Telephone Bill or Aadhar Card shall be attached. It should be in the name of the applicant only. Apply for Private Limited Company Registration today. The documents that are being submitted should not be older than 2 months from the date of filing of the E-Form in the case of Indian applicant. The address proof should not be older than 1 year from the date of filing of the E-Form in case of a foreign applicant. 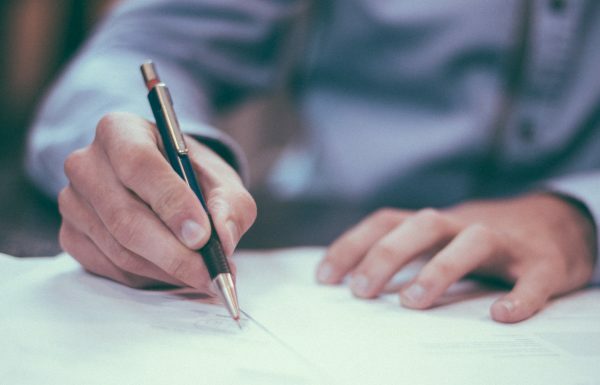 Digital Signature Certificates are required at the time of submission of the documents in the electronic form in order to ensure the security and authenticity of the documents furnished by the applicants. It is a new and secure way to the documents without being into any trouble. DSC is used by the authorized person to sign the documents. With original supporting documents the Applicants can directly approach Certifying Authorities (CAs). In this case, a self-attested copy will be sufficient. Using Aadhar eKYC based authentication the DSCs can also be obtained, wherever offered by CA. The supporting documents are not required in this case. A certificate/letter issued by any Bank who is containing the DSC applicant’s information as they are always retained in the Bank database. So, they can be accepted. However, Such a letter/certificate should be certified by the Bank Manager. Fill the FORM DIR – 3 along with attaching the scanned documents as mentioned in Step-2 above. The director of the company can also sign the form in which the applicant is to be appointed as a director. 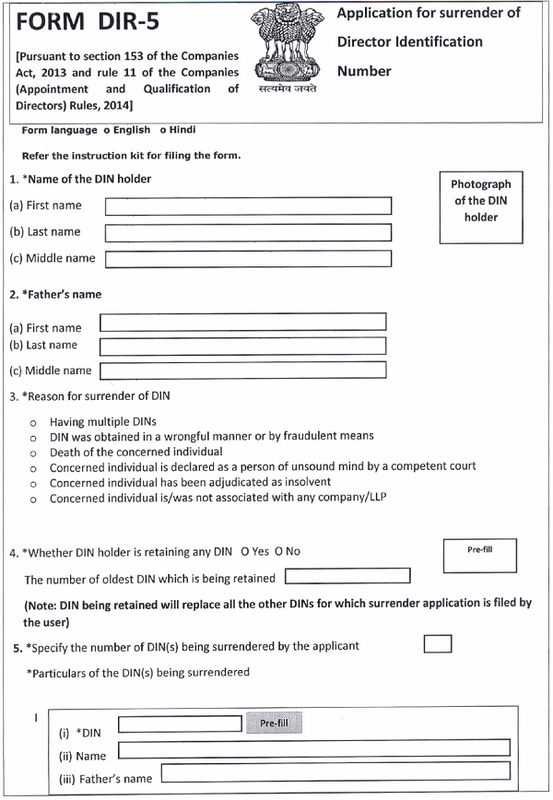 The DIR form must be digitally signed. The form must also be signed by the professionally practicing Chartered Accountant /Company Secretary /Cost Accountant. The respective applicant is required to register on an application form on the site of MINISTRY OF CORPORATE AFFAIRS by clicking on the”New User”. However, the applicant has to fill all the asked details about the candidate correctly. To apply the form directly visit the website. After filling the form the applicant is supposed to upload the form and pay the prescribed fees online. The e-Form DIR-3 will only be processed only after the DIN application fee is paid.